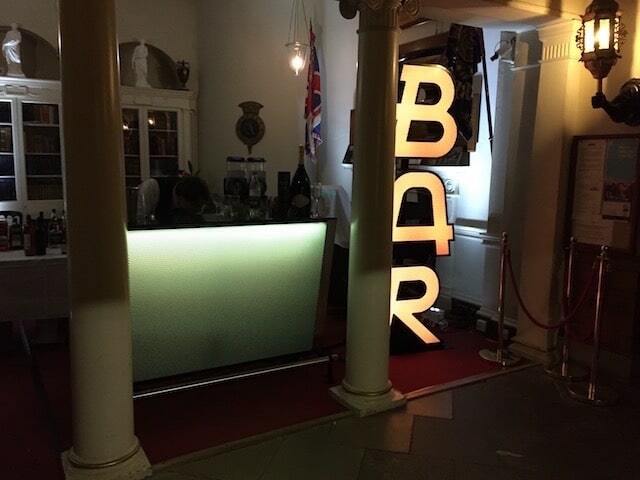 Wedding Venue Lighting stocks one of the most eye-catching LED items – the LED Mobile Bar Hire. 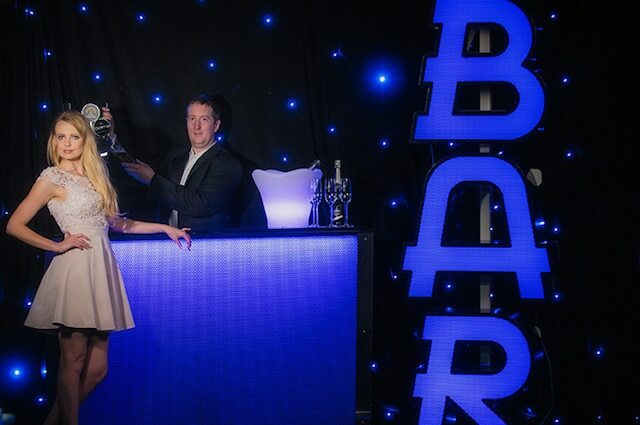 Bring the PARTY to your special day and help guests celebrate in-style. 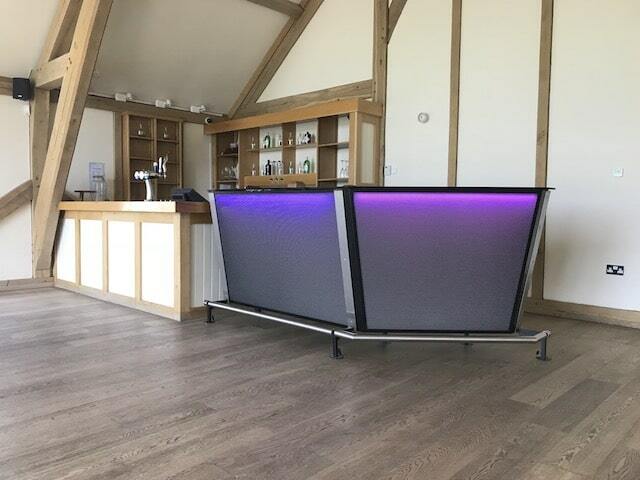 The LED Mobile Bar Hire really is a stunning feature, and one of the most focal points of the wedding reception at that. 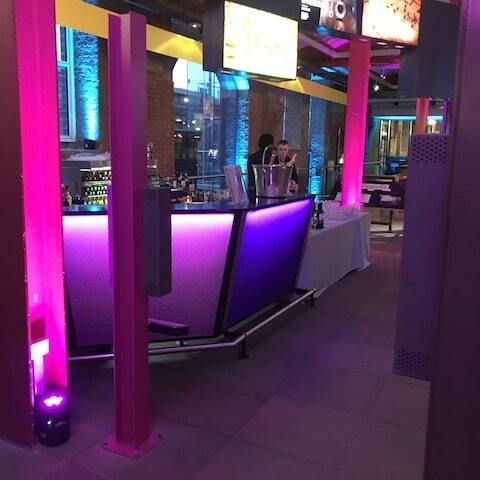 With the LED Bar comes an array of colours to choose from, you can opt for the colour theme of your wedding or go for a more outlandish colour scheme to impress your guests. 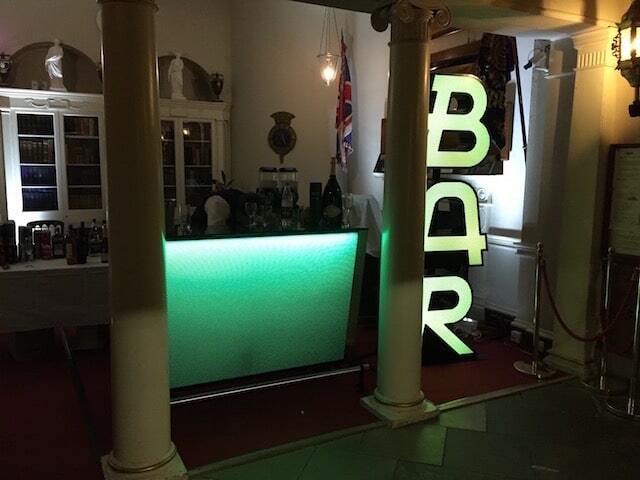 Our LED Bars are often used as cocktail bars in marquees but are also available t be set up as pop up bars around your venue too, to help out with crowding. 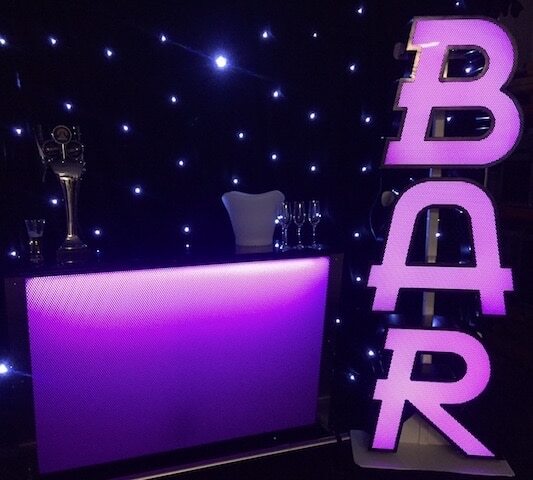 Comprises 1 x 1.5m straight section which includes LED lighting, which can be set to you chosen colour theme. 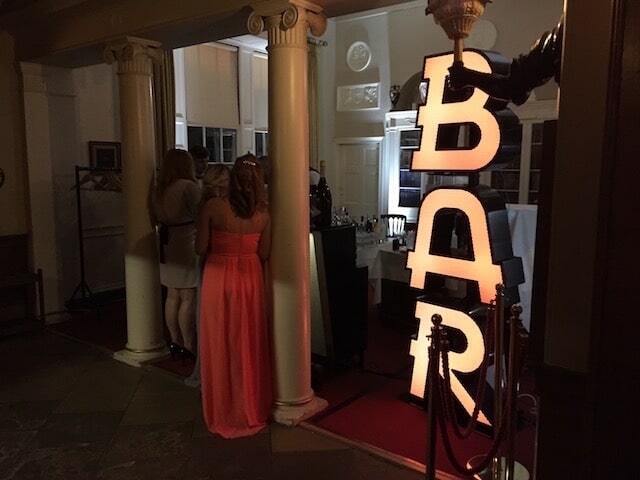 The bar is also perfect for any other celebrations and corporate events. 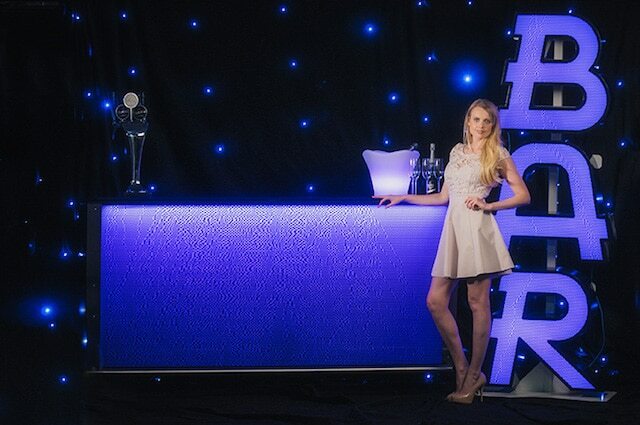 Because our LED Mobile Bar is IP65 rated and completely waterproof, it is perfect for outdoor use, even if it is raining. 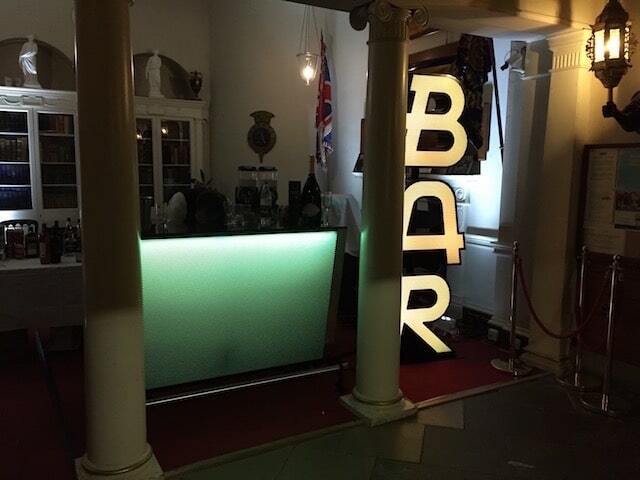 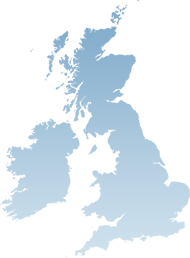 The Bar goes exceptionally well with our entire range of LED stock.